WWDC going to be prominent for Siri. For every Apple user, Siri is a blessing. Her voice is so similar that they could not think of passing their days without hearing the same. 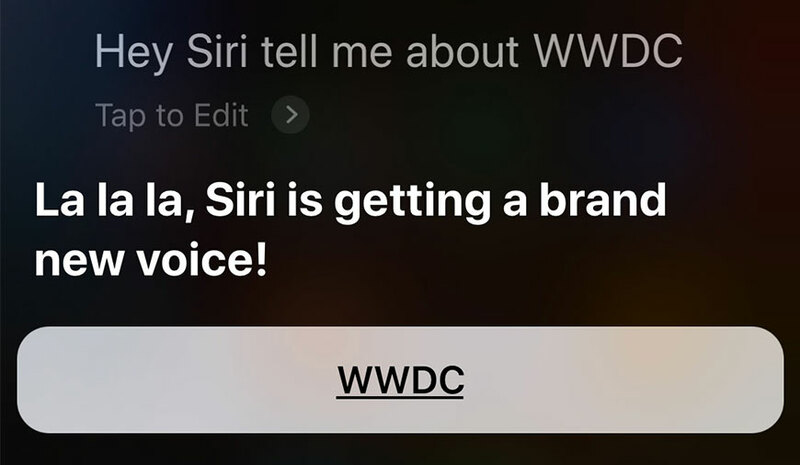 Meanwhile, I am not here to talk about Siri’s voice but to give you a brand new update that WWDC may have a brand new gift for the voice assistant that may come by revamping her voice at the event. The virtual assistant is not only likely to get a brand new voice but also smart speakers. In case, you are an iPad or iPhone user, you could ask the voice assistant about the same. Is It Apple’s Strategy To Create Buzz On WWDC? The voice assistant could also get a new home in a brand new home pod that will also be revealed at the event. Siri is limited to iPhones and iPads while Google Assistant and Amazon Alexa has much more to cover than the voice assistant currently does. Well, this rollout may offer more power to it. Google Assistant and Alexa have recently received some new voices and it may be the effect of the same that Siri is now getting the new voice too. As far as Siri’s new home is concerned, Apple may reveal a $199.99 Beats-branded HomePod. What Apple is up to can only be revealed once the WWDC kicks in. As far as the new voices are concerned, it is only going to make the offerings prominent. The change may also add more users to the voice assistant as whatever Apple does get popular among the users. Stay tuned to MobileAppDaily for all the latest happenings at WWDC (June 4).